A recent advertising arts graduate from Far Eastern University has been named among winners in Freelancer.com’s global Valentine’s Day contest, beating more than 1,300 entries from around the world. Riva Louise Vicente, 22, “can’t believe” she is the sole winner from the Philippines, who rose to the top as one of the runners-up in designing the “The World’s Greatest Valentine’s Day Greeting Card,” a crowdsourcing contest held by the freelancing and crowdsourcing marketplace to celebrate Valentine’s Day. 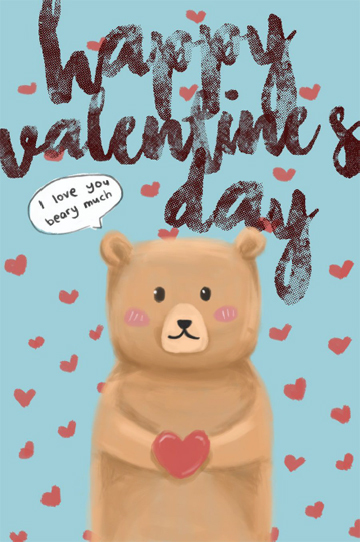 Vicente’s “I Love You Bear-y Much” entry caught the eye of Freelancer.com for its adorable pun and original illustration. “I came up with my idea by looking at what trend is in style nowadays, which is modern but witty: saying ‘I love you’ in a different way. I only used Adobe Photoshop and drawing tablet to create it,” she shared. 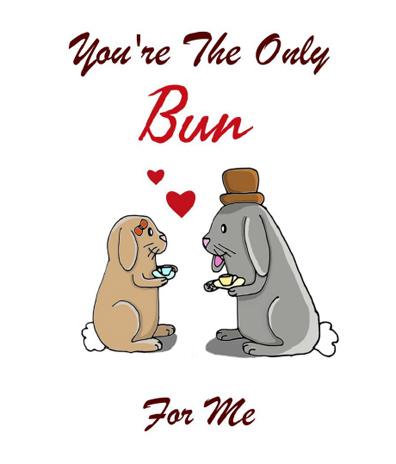 Riva shares her runner-up win with Toni Freebairn, a neophyte graphic designer from New Zealand, with her “You’re The Only Bun For Me” entry. They each took home $100. Devon Harrah's "Love, You Octopi My Thoughts"
Devon Harrah from the United States took the top spot and the $200 cash prize. 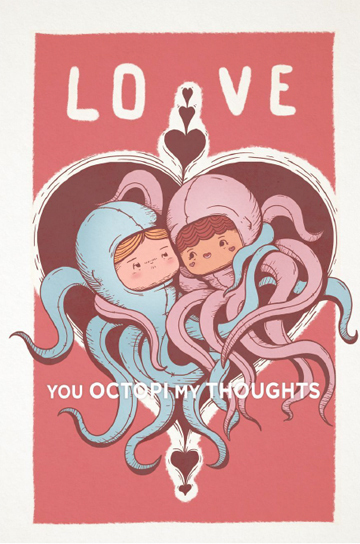 The recently married man’s win came just in time for his wife to receive his “Love, You Octopi My Thoughts” Valentine’s Day card.